We are led under the able guidance of Mr. Jatin Kumar Behl, who has with him extensive industry experience. His able handling of operations and dedicated support of our team helps us in delivering certified range of acid dyes, solvent dyes, food colors and other products. We work hard towards establishing amicable & everlasting business relationships with our clients and this has geared us to meet clients’ expectation. We have been relentlessly offering products & services that are at par with international quality & safety standards. Our offerings exhibit consistent quality, committed quantity, fair price, transparent dealing and sincere client handling. Registered under Muncipal Corporation of Delhi, Civil Zone. 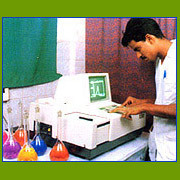 Our range includes well-certified and qualitative industrial dyes. We have with us the services of experienced chemists, skilled workforce and experienced management who dedicatedly work towards bringing further improvements in our products & services so as to meet the ever increasing demands of markets. Apart from this, we also have the support of expert research associates, who have with them relevant industry experience and are capable of developing the products as per client’s specifications / application need. Moreover, our team of quality controllers is well versed with latest in the dyestuff industry, which further support us in delivering quality end results to our customers. 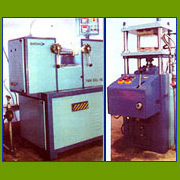 These are also used in linoleum and leather coloring, in manufacturing automotive cleaners, floor polish, shoe polish etc.